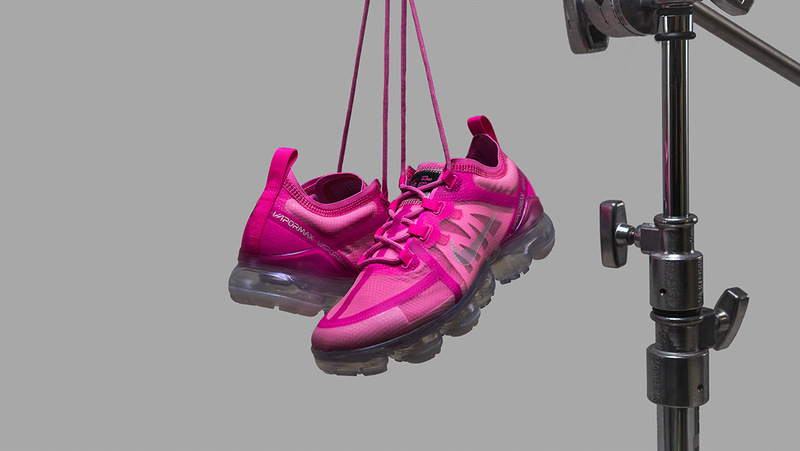 Nike’s Air VaporMax 2019 arrived earlier this year in an array of explosive colourways, here we take a closer look at three of them. 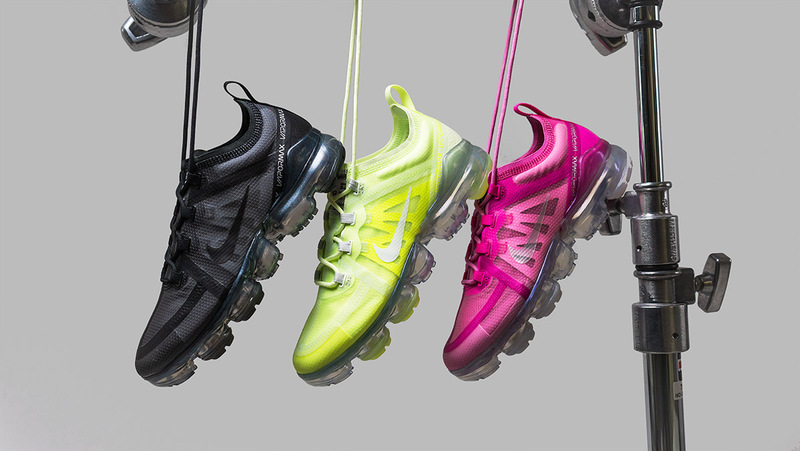 Triple Black, Active Fuchsia/Laser Fuchsia/Psychic Pink and Volt/Volt Glow/Barely Volt/Spruce Aura. These bold colourways are sure to be adding a brightness to any SS19 rotation, take a look at the silhouettes below and be sure to shop via the links. The upper comes in a semi transparent stretchy material, keeping you locked into the shoe while allowing for an intricate aesthetic. This woven fabric will be allowing for security and flex at the same time, keeping your ride comfortable all day. 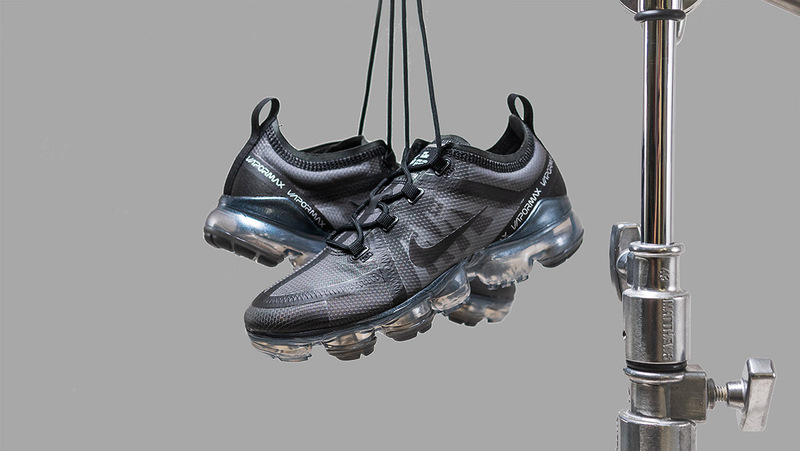 This particular Nike Air VaporMax 2019 model features the lightest, most flexible Air Max cushioning to date. These kicks will be taking you from the gym to the streets with a versatile style and optimised performance. 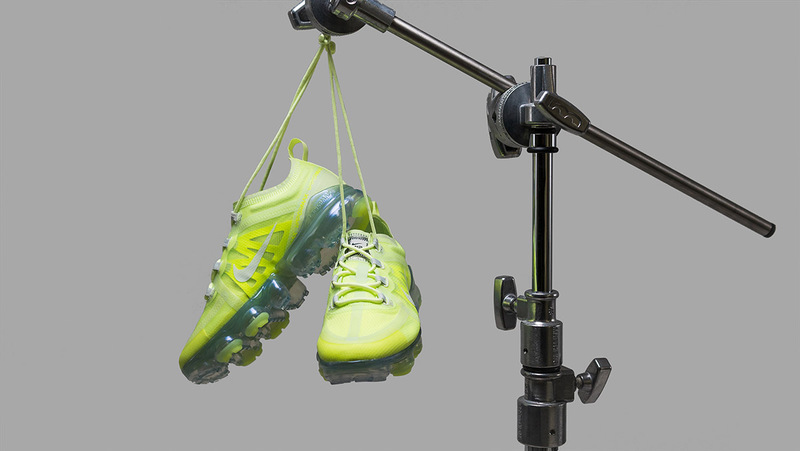 The visible lace unit within gives the shoe a utility feel across all colourways, tying onto an internal cage, to wrap around your mid foot for extra support. The soft collar around the ankle has been elasticated for a snug yet flexible fit. 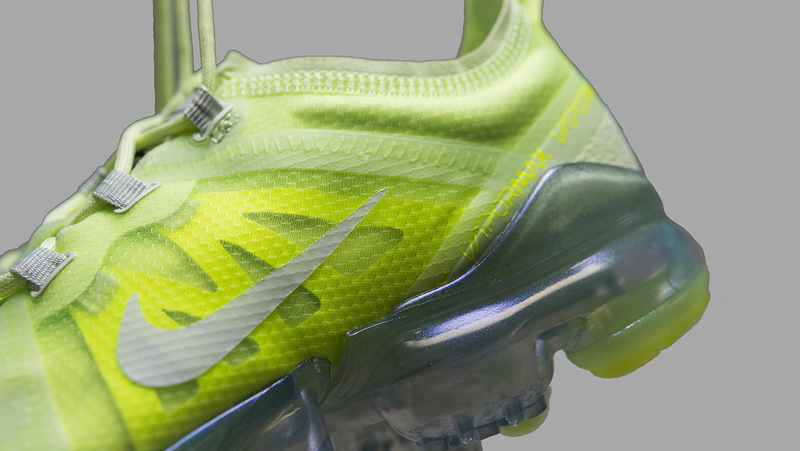 VaporMax branding can be seen on the tongue, where small written detailing adds to the utility feel, similar to the much loved recent Air Force 1 Utility. 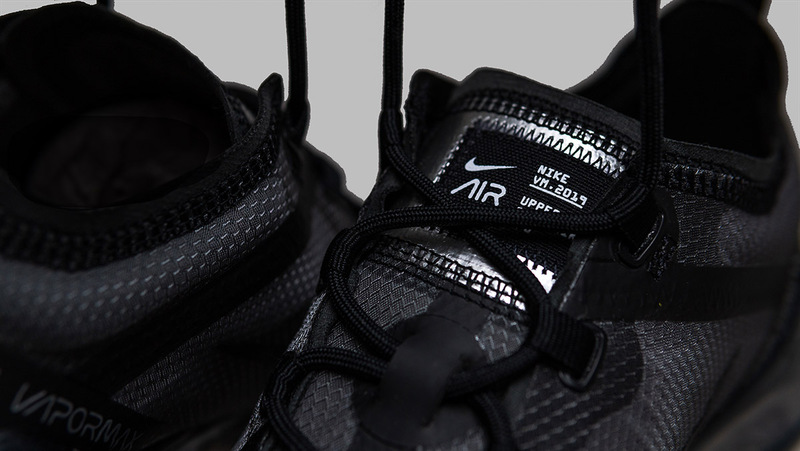 Tonal detailing can be seen throughout each of the silhouettes, with a 3M side Swoosh, matching laces and delicate VaporMax branding wrapping around the heel section. 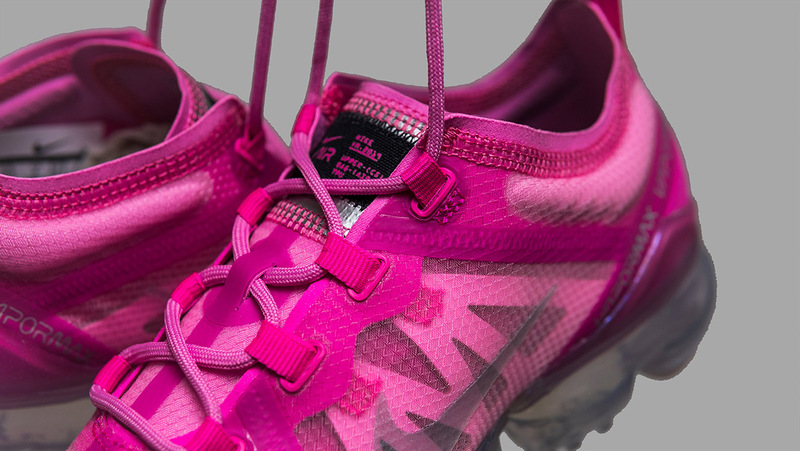 An added quirk is the iridescent midsole colouring on each silhouette, giving the shoe an added feminine touch. All three colourways are available now via Nike now alongside several other distinct colourways, head to the links on this page to shop the silhouettes today.